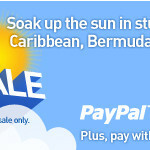 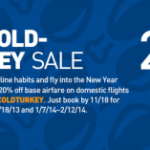 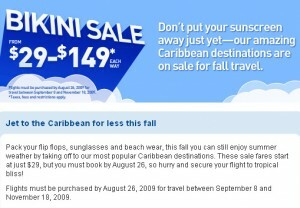 JetBlue is doing a “Bikini Sale” on flights (not swimwear) to the Caribbean for travel this fall — September 8 to November 18, 2009. 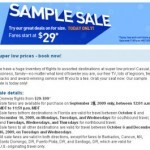 Book by August 26, 2009. 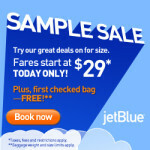 The $29 flight is from Ft Lauderdale to Nassau, but still some deals if you’re an east coaster: Boston, New York, Orlando etc.